John Avery lives and writes thrillers on a small ranch in the mountains outside San Diego. Having written his first story in the first grade, John has had a life long love affair with the craft. His many influences include Larry McMurtry, Cormac McCarthy, Edgar Allen Poe, Mark Twain, Ken Follett, Stephen King, William Faulkner, and Earnest Hemingway. HE DIDN’T MEAN TO OVERHEAR … but he did. HE ONLY HEARD A FEW WORDS … but he heard too much. HE RAN … but he was followed — a mistake that would turn thirteen-year-old Aaron Quinn’s, and his beautiful, courageous, single mother, Ashley’s, worlds upside down. THE CLOCK STARTS TICKING … when Aaron is stolen from his mother by a psychotic killer and thrust headlong into a dark underworld of armed robbery, prostitution, and death. Will Aaron lose his mind as he’s forced to participate in a deadly crime spree and witness first hand the horror of cold-blooded murder? In THREE DAYS to DIE, debut author John Avery takes you on a perilous journey unlike any suspense thriller you’ve read before. From the opening sequence to the smashing ending, THREE DAYS to DIE moves at lightning speed, introducing the world to an exciting new hero, a beautiful and plucky heroine, and a truly frightening villain. 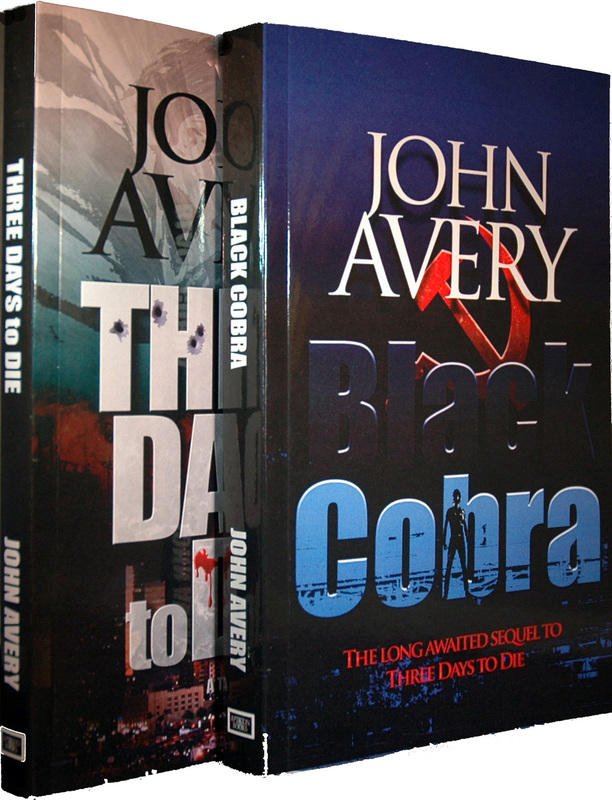 In BLACK COBRA, John Avery picks up where his debut novel THREE DAYS to DIE left off and hits the accelerator, combining the romance of the Caribbean Sea with the horrors of modern day piracy and the complex realities of the Cold War. 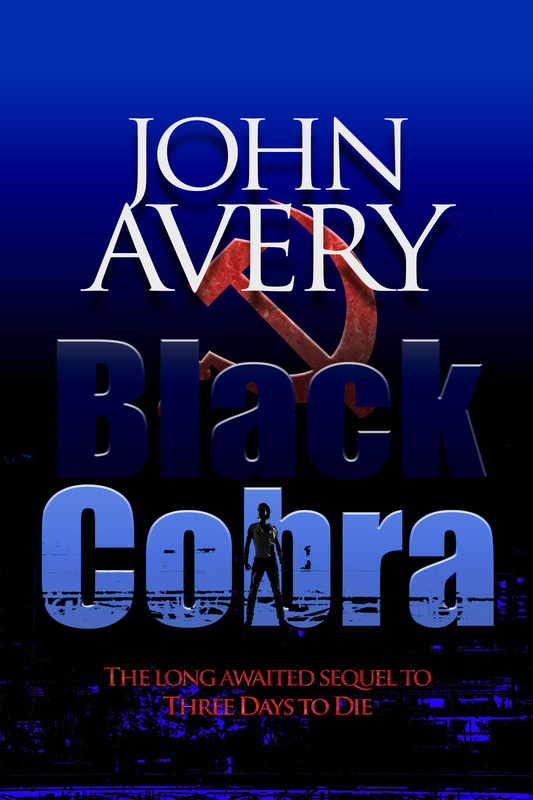 In a heart-stopping narrative, BLACK COBRA carries the reader into a realm of unexpected suspense and danger, overturning our most basic ideas of what is possible. HE THOUGHT IT WOULD BE FUN … to help crew a luxury motor yacht on a month long voyage from Grand Cayman to San Diego. HOW COULD HE KNOW … that the man at the helm was a cold-blooded killer on his way to join a gang of conspirators in an international assassination attempt? WHO COULD HAVE KNOWN … that their innocent welcome party aboard an aging San Diego Maritime Museum submarine would turn deadly? THE CLOCK STARTS TICKING … when the submarine is suddenly locked down and highjacked by the gang of conspirators. “A great story, with tight, quick-paced writing. Kudos to you, Mr. Avery.” — R.B. “When you begin this book, be prepared to read it through – you will not want to put it down.” — K.M. “Wow, what a read! Thank you for gluing me to a book for the first time in years!” — N.B. The one that started it all, THREE DAYS to DIE, along with the thrilling sequel, BLACK COBRA, together in one action packed Kindle Boxed Set.